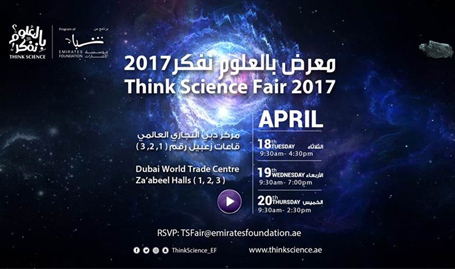 Think Science Fair Dubai 2017 - National TalentS Co. The Think Science Fair is an annual event held under the patronage of H.H. Sheikh Abdullah bin Zayed Al Nahyan, Foreign Minister and Chairman of the Emirates Foundation (EF). First, it was held at a national level in 2013 by the Emirates Foundation. This event has grown substantially into the renowned scientific fair it is today. 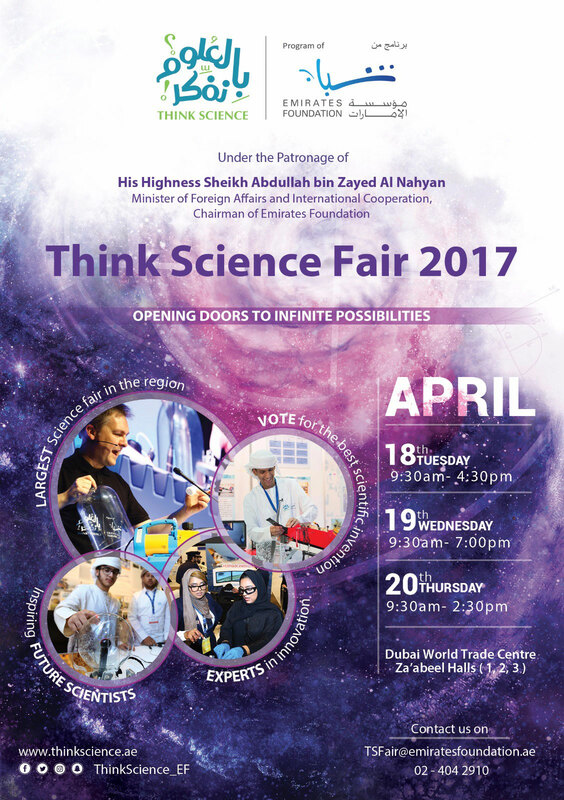 In 2016, Think Science Fair with a large- scale exhibition was held at Dubai World Trade Center from April 17th through the 19th for three days. 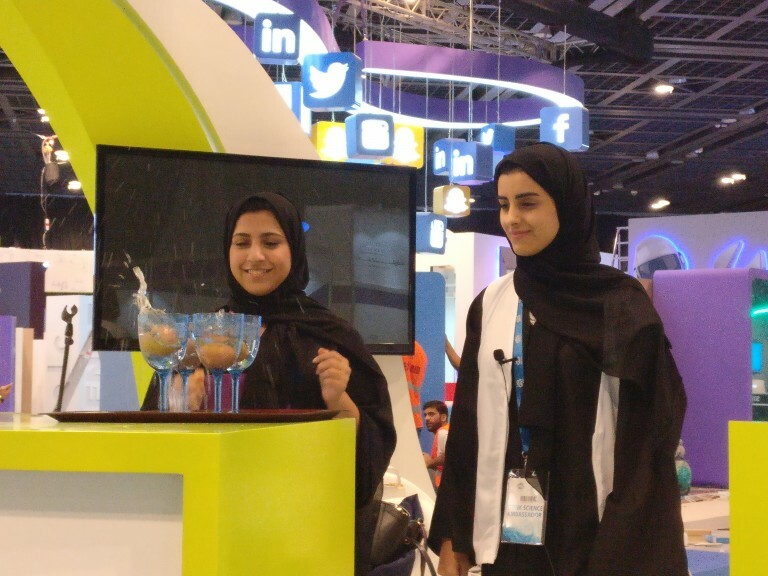 The Fair entailed the participation of more than 640 contestants from high schools and universities with more than 10,000 youth visitors attending two main activities. Talents developed a high-energy action-packed science show that illustrated many exciting careers in science technology. Developed and presented by our in-house team, the show was performed to teens and young adults throughout the event. Client: Client: EMIRATES FOUNDATION .